Arnold Tsunga, is Africa Director for the International Commission of Jurists (ICJ) and is based in Johannesburg. Prior to that he was Executive Director of Zimbabwe Lawyers for Human Rights, Executive Secretary of the Law Society of Zimbabwe (LSZ), National Chairperson of Zimbabwe Human Rights Association (ZimRights) and Vice President of International Federation for Human Rights (FIDH). A Humphrey Leadership Fellow and Paul Harris Fellow, Arnold is one of Africa’s leading human rights lawyers and in recognition of his dedication to defending human rights in spite of the threat to his own life he was awarded the prestigious Martin Ennals Award for Human Rights Defenders in October 2006, as well as the Human Rights Watch Highest Award for human rights defenders. 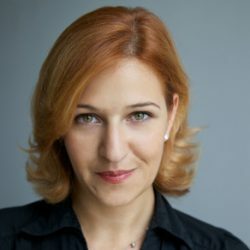 Dr. Anna Neistat leads Amnesty International’s global research by setting the research agenda and ensuring consistently high standards for research strategy, methodology and quality. She is a member of the organization’s Senior Leadership Team. Before joining Amnesty International, Neistat worked for more than a decade as associate director for Program at Human Rights Watch. Neistat has conducted over 60 investigations in conflict areas around the world, including Syria, Afghanistan, Pakistan, China, Zimbabwe, Nepal, Kenya, Yemen, Chechnya, Sri Lanka and Haiti. She has authored or co-authored over 40 Human Rights Watch reports as well as numerous articles and opinion pieces. Neistat holds an LL.M. degree from Harvard Law School, a J.D. and Ph.D. in law, and an M.S. in history and philology. She is a member of the New York State Bar, and teaches at the Paris School of International Affairs at Sciences Po. Mona Younis is an independent consultant in organizational development and human rights. 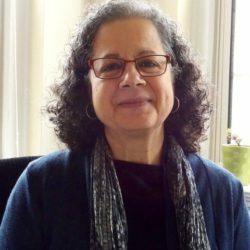 In the Arab region she has served as program director with a refugee women’s organization in Lebanon, researcher in Palestine and Syria, university instructor in Jordan, and advisor to non-profits throughout the region. She has worked in philanthropy as human rights program officer at the Mertz Gilmore Foundation, and coordinator of the International Human Rights Funders Group, and served as director of the Science and Human Rights Program of the American Association for the Advancement of Science. Mona holds a Ph.D. in sociology from the University of California, Berkeley. Regan E. Ralph is the president and CEO of the Fund for Global Human Rights and has directed the organization since its founding. 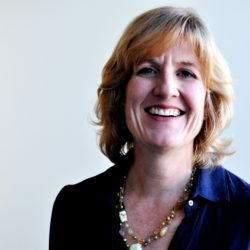 Prior to launching the Fund, Regan was Vice President for Health and Reproductive Rights at the National Women’s Law Center in Washington D.C. From 1992-2001, Regan helped build and ultimately directed the Women’s Rights division of Human Rights Watch. Regan is a graduate of Harvard University and Yale Law School, and studied international law at the London School of Economics and Arabic at the American University in Cairo. Paul Fletcher has a wealth of experience in financial services, in the emerging markets, and most recently in the private equity industry. He was the Senior Partner of Actis, the leading pan emerging markets investor, having previously led CDC, the UK development finance institution. He led the groundbreaking privatization of CDC to create a mainstream, purpose driven private equity firm. He is Chairman of Teach for All, the global education movement, Chairman of LeadersQuest, and on a number of non profit and advisory boards including Crisis Action, Systemiq and GIC. He is a regular teacher at London School of Economics. Paul began his career as a trader at Cargill in Minneapolis, and subsequently held various positions at Bankers Trust, SBCI and Citibank where he worked for 12 years in Japan, USA and Kenya. He studied Geography at Oxford University. Khaled Mansour is an independent writer and consultant on issues of communication and human rights. 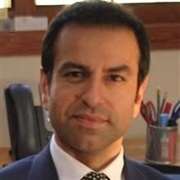 Prior to 2015, he was the Executive Director of the Egyptian Initiative for Personal Rights, UNICEF’s Director of Communication, and has worked for UN missions in Afghanistan, Iraq, Lebanon and Sudan. He also has ten years of experience as a journalist and foreign correspondent in Egypt, South Africa and the US. He is based in Cairo. Jacqueline Musiitwa, Esq. is the Founder and Managing Partner of Hoja Law Group, a boutique legal consultancy that represents clients in corporate governance, commercial and public law matters in Africa. 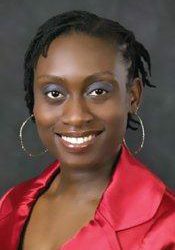 In addition to the Special Court for Sierra Leone, Jacqueline has experience from the International Finance Corporation, the Eastern and Southern African Trade and Development Bank (PTA Bank), the World Trade Organization and several post conflict governments advising on matters related to trade, investment and reconstruction. She is also a member of the board of Bank of Zambia. Jacqueline has been an Adjunct Professor of Law at universities in the U.S. and Rwanda. Salman Shaikh is the Founder and CEO of the Shaikh Group. 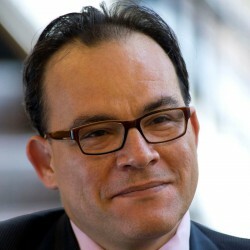 He has formerly served as Director of the Brookings Doha Center and fellow at the Saban Center for Middle East Policy. He focuses on mediation and conflict resolution issues facing the Middle East and South Asia. He has held posts at the United Nations and the Office of Her Highness Sheikha Mozah Bint Nasser Al Missned in Qatar. 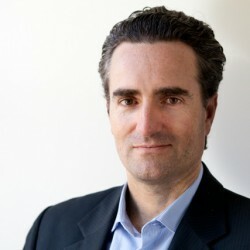 Bruno Stagno Ugarte is the Deputy Executive Director for Advocacy at Human Rights Watch (HRW). 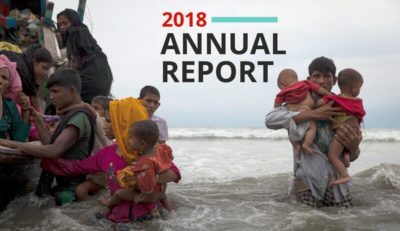 Before joining HRW, he was Executive Director of Security Council Report from 2011-2014, Foreign Minister of Costa Rica from 2006-2010, Ambassador to the United Nations from 2002-2006 and Chief of Staff of the Foreign Ministry from 1998-2000, among other foreign service postings. He also served as the President of the Assembly of States Parties of the International Criminal Court from 2005-2008 and Co-President of the Comprehensive Test Ban Treaty Article 14 Conferences from 2007-2009. He is a graduate of Georgetown University, the Sorbonne and Princeton University and author or editor of several books, chapters and articles, including The UN Security Council in the Age of Human Rights (Cambridge University Press, 2014).